Sandra L. Pressley was determined to show her only child the world was bigger than the block on which they lived in Chicago. She exposed her to ballet, the cello and ballroom dancing, and took her to Europe despite being a single parent with limited means. Ms. Pressley - the mother of Ayanna Pressley, the Boston city councilor at large, died of complications of leukemia July 1 in Brigham and Women’s Hospital. The Dorchester resident was 63. Relatives and friends said Ms. Pressley loved God, jazz, sports, Broadway shows, the Red Sox, and debating politics. She was well known and respected in Boston political circles. 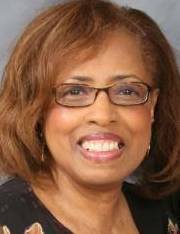 Ms. Pressley was born in Cincinnati and in 1966 graduated from Withrow High School, where she played the piano and clarinet, ran track, played volleyball, danced ballet, was in the history club, on the pep team, and a member of Future Teachers of America. Her jubilant personality earned her the moniker Charming, said Pat Todd Sims of Cincinnati, a friend since elementary school. Ms. Pressley grew up in Cincinnati’s Evanston neighborhood and was active with the Youth Fellowship at Gaines United Methodist Church. “There wasn’t anything she wouldn’t do for you,’’ Pat Sims said. “She had a loving kindness and a strong faith in God. Ms. Pressley met Martin Pressley while working as an activist in Cincinnati. They married and had a daughter, but Ms. Pressley moved to Chicago and the couple later divorced. In Chicago, she worked as an advocate for tenants’ rights with the Urban League and in management for Roper & Quigg, a patent law firm. Eventually, she moved to Brooklyn, N.Y., where she worked as an executive assistant for Time Warner until illness forced her to retire. In Brooklyn, Ms. Pressley joined St. Paul Community Baptist Church and began dating fellow church member Warren Maynard. After they married, she decided to keep the same last name as her daughter. Maynard, who is hearing impaired, and Ms. Pressley moved to another part of Brooklyn and founded a deaf ministry at Emmanuel Baptist Church. Ayanna Pressley came to Boston to attend Boston University. Ms. Pressley split time between New York and Boston when her daughter decided to run for office. Ms. Pressley, who enjoyed wearing colorful outfits and jewelry, was well known in Boston, particularly in Dorchester. It was not uncommon for her to attend City Council meetings, where she was affectionately called Mama Pressley and wore a hat emblazoned with the title. She made headlines last year when she surprised her daughter by showing up at a February council meeting, though she lived in New York at the time, to sing Stevie Wonder’s version of “Happy Birthday’’ to her. Pressley and her mother were exceptionally close. Mother and daughter were holding hands when Ms. Pressley died. Besides her daughter and husband, Ms. Pressley leaves her father, the Rev. James Echols of Chicago, an aunt and uncle, and many “adopted’’ sons and daughters. Laurie D. Willis can be reached at lauriedwillis@hotmail.com.